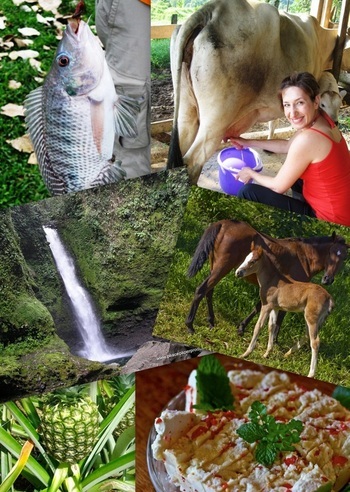 This is a sample of a 10 day itinerary that has been popular with travelers going on the Costa Rica Caribbean Experience. 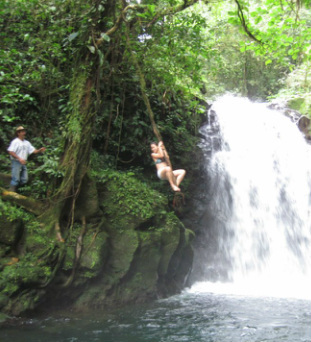 Please contact us today to receive a draft itinerary and a price quote for your own Costa Rica Experience! Arrive in San Jose the capital of Costa Rica in the afternoon, and later explore Downtown San Jose - see Plaza De La Cultura, the National Theater and the central market area. Sleep in the downtown area, and if you are up to it you can check out the Latino vibe of the local nightlife. 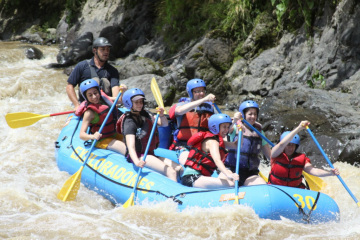 Today we will be heading south to the coast, and on the way go on a rafting adventure on the Pacuare River, known as one of the top five rafting rivers in the world for its scenery and rapids (Class III-IV). Later, arrive at Puerto Viejo, one of the most happening places in Costa Rica- a place where surfers, backpackers and the counter-culture crowd blend with the local Latino, Afro-Caribbean and Bribri indigenous cultures, with its pristine coastline acting as a backdrop. 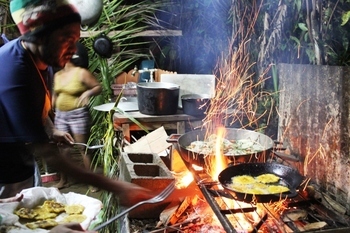 At night, you can go for a Caribbean style dinner in town, taking in the special and laid back ambiance of Puerto Viejo. Later, you can hit one of the many bars/clubs/live music venues in town. 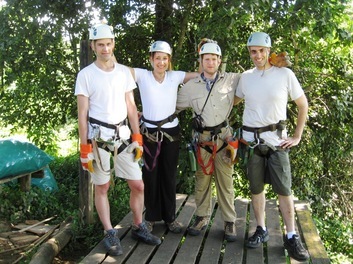 - Go on an amazing Jungle Canopy Tour, where you will literally fly through the rainforest by zipline. - Visit the highly recommended Jaguar Rescue Center, a unique animal rescue center, where you will be able to learn (and hold) some of the amazing animals (including monkeys) that call this area home. 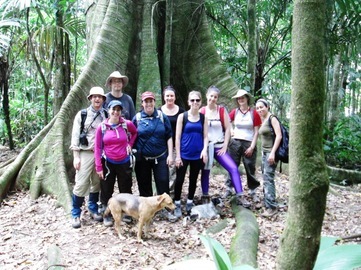 - Morning: half day hike in the amazing Gandoca Manzanillo Wildlife Refuge– one of the best trips for jungle wildlife viewing in all of Costa Rica! 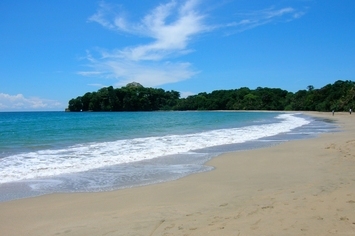 - Afternoon on the tranquil beaches of Manzanillo, with optional snorkeling and water activities. - Take a ride up the coast to the port of Limon, where we take a boat ride up the inner coastal canal, bringing us to the tiny island village of Tortuguero Tortuguero, and the nearby national park. 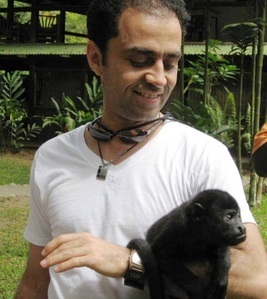 - Check into to the jungle Evergreen Lodge or similar accommodation in the lush jungle. Time to head to Finca Rio Perla, an eco-farm up in the Caribbean Highlands. 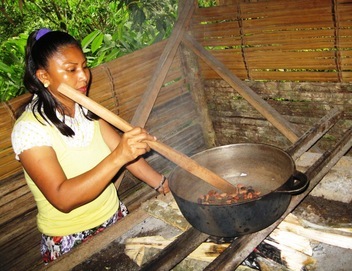 • Milking the farm’s dairy cows (optional activity), and Tico style cheese making workshop. • Farm activities: planting trees to help reforest / offset travel carbon emissions, help with the farm’s vegetable and herb garden, collect fresh eggs, or work the macadamia grove with machetes. • Hike to the upper part of the farm. 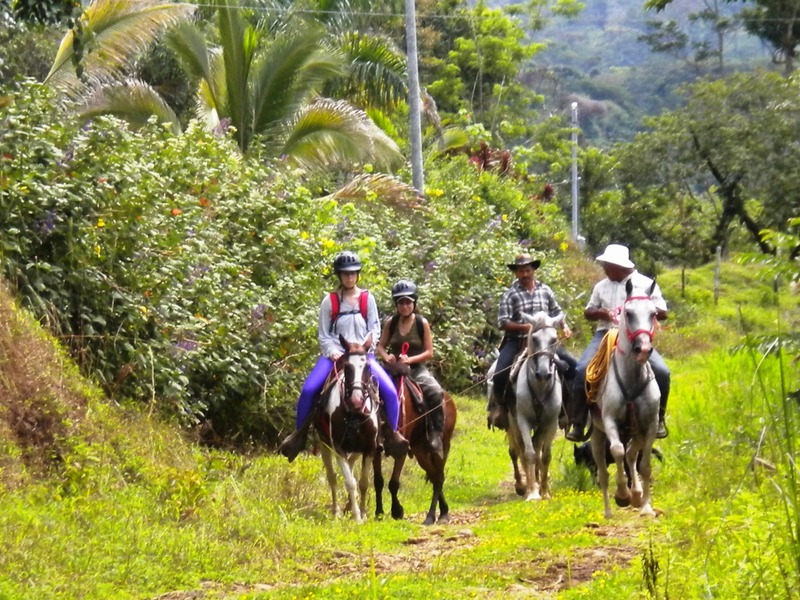 • A horseback cattle drive: experience being a Tico cowboy/girl! • An option of going into town and visiting a local Tico bar/roadhouse! Day 10: Finca Rio Perla - San Jose - home! Time to say goodbye to Costa Rica and head home! For your time on the farm, we will stay in rustic but comfortable rooms, uniquely decorated with interesting artwork. Wide windows offer a spectacular view and cool clean mountain air, accompanied by soothing sounds of nearby streams, howler monkeys and birds! Rooms on the farm sleep 2-4 people, with shared and newly installed hot showers and toilets. The farm has municipal and spring water, electricity, and telephone and fast internet service. For you time on the coast, we can accommodate you in simple and comfortable hotels, such as the elegant Namuwoki or the Casa Verde Lodge. We will provide all transfers during the week using taxis, 4x4 vehicles and public transportation. We advise you purchase travelers insurance before leaving – This should not cost more than $25. You will also have to fill a waiver for your trip and your stay on the farm, as well as for other adventure activities we will be doing throughout the trip. The cost per person of this example itinerary, excluding airfare (as well as some meals/activities that are not part of the package) varies according to the number of people traveling, specific accommodations chosen, the means of transportation and the specific activities chosen. Prices start from $1100 per person for this 10 day itinerary, and vary depending on length of trip, accommodations and activities. Before departing, you will receive a comprehensive list of suggested things to bring on the Caribbean Experience, as well as a detailed itinerary. 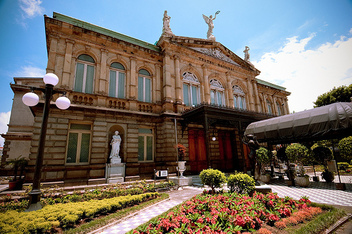 Transportation and transfers to and from all locations in Costa Rica. 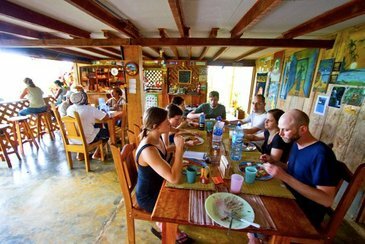 All activities and all meals during your 2 nights at the Finca Rio-Perla eco-farm. For any other questions, please contact us at info@costaribbean.com or via our contact form.